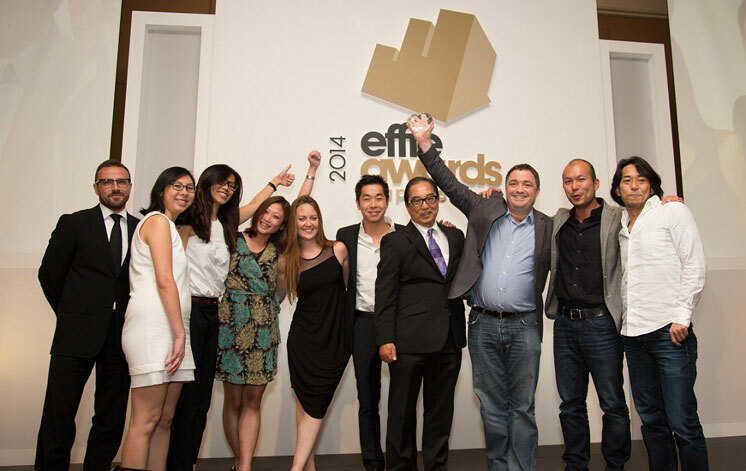 Also announced at the Awards Gala were the APAC Effie 2014 Agency of the Year and Agency Network of the Year Awards. Colenso BBDO/Proximity New Zealand was awarded APAC Effie Agency of the Year Awards, with Lowe Lintas & Partners Mumbai and Whybin\TBWA Sydney following closely in the second and third positions respectively. BBDO Worldwide was named the APAC Effie Agency Network of the Year, picking up a total of 2 Golds, 7 Silvers and 6 Bronzes from its agencies in the region. In the running were Ogilvy & Mather and Lowe & Partners. The full winners list can be viewed here or at the APAC Effie website. ​Championing the practice and practitioners of marketing effectiveness, Effie Worldwide spotlights marketing ideas that work and encourages thoughtful dialogue around the drivers of marketing effectiveness. The Effie network works with some of the top research and media organizations worldwide to bring its audience relevant insights into effective marketing strategy. The Effie Awards are known by advertisers and agencies globally as the pre‐eminent award in the industry, and recognize any and all forms of marketing communication that contribute to a brand's success. Since 1968, winning an Effie has become a global symbol of achievement. Today, Effie celebrates effectiveness worldwide with over 40 global, regional and national programs across Asia-Pacific, Europe, Latin America, Middle East/North Africa and North America. Effie initiatives include the Effie Effectiveness Index, ranking the most effective companies and brands globally and the Effie Case Database. For more details, visit www.effie.org. Follow @effieawards on Twitter for updates on Effie information, programs and news.